Tunica Roadhouse Casino opened in 1994, but was a smaller operation than Caesar’s Horseshoe Tunica Casino. Tunica Roadhouse Casino is closing at the end of January 2019, according to Caesars Entertainment Corp. The 135-room hotel adjacent to the casino will remain open. This is the second Tunica casino Caesars Entertainment has closed in the past four years. In 2014, Caesars closed the Grand Tunica Casino, one of the centerpieces of Tunica County’s 20+ year old casino industry. 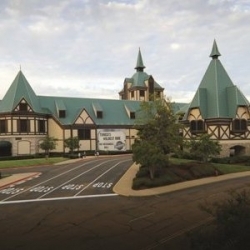 The Tunica Roadhouse Casino is a much smaller operation, though the decision puts 150 workers out of a job, according to the Commercial Appeal newspaper. Caesars will keep the Horseshoe Tunica Casino open, so it remains a player in the local gaming market. Roadhouse, which was opened in 1994 as one of the first gaming operations in the state, was one of Mississippi’s smallest casinos. It had 31,000 square feet of gaming space, along with 689 slot machines and 17 gaming tables. By comparison, the Horseshoe Tunica has twice the gaming space and 1,000 slot machines. Horseshoe Tunica also has 116 gaming tables, including a 39-table poker room and a table games list that includes roulette, craps, blackjack, Caribbean Stud Poker, Asia Poker, and 3-Card Poker. Caesars’ closures in Tunica County are a sign of the troubled state of Missisippi River counties’ casino industry. In 2006, gambling generated $1.66 billion in revenue for Tunica County and its neighbors. By 2017, that number dropped to $885 million. The lost casino revenues stem mainly from market saturation in an increasingly fragmented American land-based casino industry. In 1989, Atlantic City was the only place east of the Mississippi River to have land-based gambling. The 1988 Indian Gaming Regulatory Act changed all that. Following a landmark 1986 US Supreme Court decision (“Cabazon v. California”), Native American tribes which had land recognized by 1934 as sovereign territory could build casinos on their reversations. The tribes had to sign a gaming compact with the local state, but the state could not ban gambling on the reservations, even if gambling was banned in the state. That led to the inception of huge tribal casinos like Mohegan Sun and Foxwoods in Connecticut. Eventually, 28 US states would have tribal casinos. As the tribal casino industry grew, some US states decided it made sense to legalize commercial casinos. Mississippi was a leader in that category. Mississippi legalized casinos in 1994. In 1995, the township of Robinsville — population 1,900 — gained the right to host casinos in Tunica County, Mississippi. Robinsonville eventually would change its name to “Tunica Resorts”. The area along the Mississippi River became the third-largest casino destination spot in the United States, behind only Las Vegas and Atlantic City. Some assumed it would surpass Atlantic City, given its position in the middle of the country. Time stands still for no one — even casino operators. More US states filled up with tribal casinos, which led to more states legalized commercial casinos. Many states tried to save their horse racing industries by introducing slots gambling at racetracks — so-called racinos. Over time, in one way or the other, 40 US states had their own domestic casino industries. Like Atlantic City, Tunica County struggled with the new order of things. Mississippi River casinos still draw customers from Northern Mississippi and Southwestern Tennessee, but most gamblers stay home for their local casinos. Recently, Arkansas passed Amendment 4, which called for four land-based casinos to be built by 2023. That appears to have been the nail in the coffin of Tunica Roadhouse Casino. With fewer players coming from Arkansas, it made sense for Caesars to shut down its smaller local operation and direct Roadhouse customers to the Horseshoe Tunica Casino. It lowers labor costs and probably loses few customers. The closure means 7 casinos continue to operate in Tunica Resorts. Those might survive, because of less competition and the advent of legal sports betting at those casinos. Meanwhile, Biloxi and Gulfport casinos have continued to flourish, because they exist on Mississippi’s Gulf Coast and draw in more tourists going to the beaches in the warm weather months.